Most likely you’ve been conducting an exhaustive search for how to make money online and have read through some articles, picked up some buzzwords and have now narrowed your search down to what is internet affiliate marketing? So the next natural progression would be to wonder, how to start an affiliate marketing business. To clarify; Internet Marketing and Affiliate Marketing are two different things and can cause confusion, so let’s clear this up. 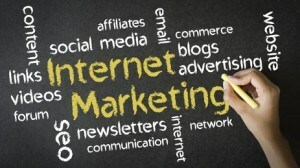 Internet marketing is a more general term used for marketing activities done online, using paid ads mostly, along with some content marketing, while having a social presence on sites such as Facebook and Instagram. This category includes folks with brick and mortar businesses, along with online retail (e-commerce) sites that advertise and use social media to promote their brands and online/offline businesses. This is much different than an affiliate marketing business. Because with affiliate marketing you are not selling your own products or services on your site and you do not have to worry about a shopping cart or overhead relating to shipping and or processing payments. Let’s get back to the gardening example. So you’re explaining how to set-up a drip irrigation system and somewhere within this article you then mention the equipment you used and how quality it was. Because you recommend this certain nozzle, let’s say, you would then place a link to Amazon showing the product used. When they click over to Amazon’s site and end up buying anything that day you will earn a commission. Most affiliate programs usually will pay you through PayPal or wire transfer. 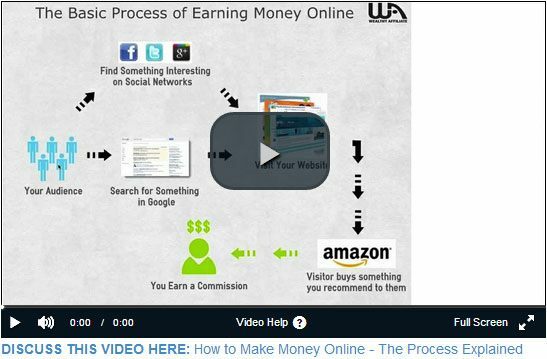 View this video below to see how this process works. In essence, the way any affiliate program works is companies pay out a percentage of the sales price to the person responsible for the sale (some affiliate programs will even pay just for the lead). This is pure 100% commission sales, so you’ll have to know what you are doing in order to make some money. The reason why many online companies see this as a benefit to them is that they can outsource their advertising to people who are experienced and understand how to maximize their advertising dollars. These people are called affiliate marketers and sometimes referred to as bloggers. 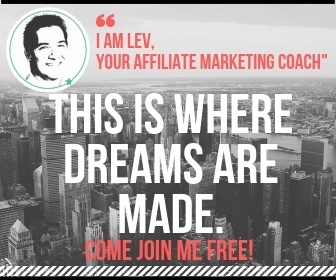 For step-by-step video lessons on how to start an affiliate marketing business – join this free online business community full of helpful marketers. Basically, this is a way for companies to spread their advertising budgets out and to allow for those who understand Internet Marketing to make some money as well while getting maximum exposure on a multitude of sites. The most efficient way for any business to advertise is by allowing other entrepreneurs to do it for them. This is by far the most cost effective and most efficient way many large corporations have discovered in the recent past to make money on the products and services they sell to their customers. There are multiple ways you can find affiliate offers. The number of companies that offer these affiliate programs are so numerous it would be difficult to name them all here. The first place that many people look to sign up as an affiliate is at a vendor marketplace called Clickbank. Affiliates come here to get offers to promote training programs, ebooks and other software and/or membership websites. Many beginning affiliate marketers start learning how to leverage the Internet to make sales from the site. Click the image below for the their video intro. The reason why Clickbank is so popular among beginners in affiliate marketing is that they have numerous courses that teach you how to market the products and services sold through their marketplace. Many of the first people that you may encounter when you are trying to learn Internet Marketing have courses available for sale on this very same website. But finding other affiliate program marketplaces websites is fairly easy. You can do a search depending on the topic of your article in Google or Bing, “your interest” + affiliate programs. You will find many to choose from. Here, I have also done a full company review on our top recommended training program for affiliate marketing. They also teach you step by step, how to set up a site and your affiliate offers. By now you are probably aware that all of this is pretty meaningless if you don’t have a simple website or blog to display these offers on. 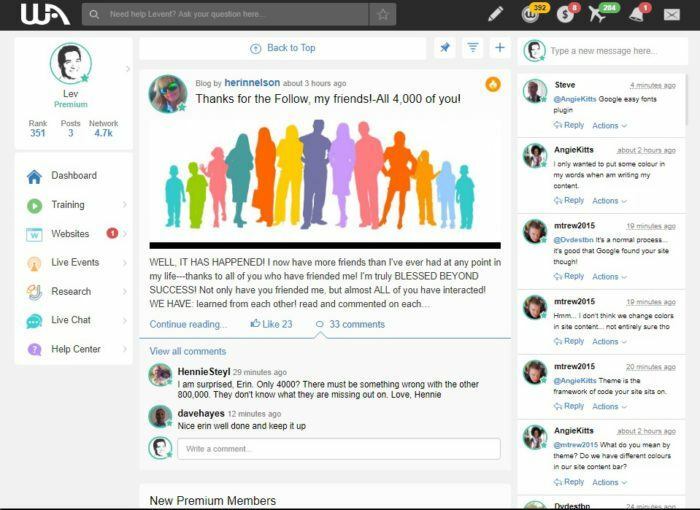 As you apply for membership to a program, you will be asked how you will advertise these offers and many of the affiliate managers will probably want to see a website or a social media following. Affiliate marketing can be done without a website through social media accounts, however you would need a large following or need to use paid advertising. Don’t worry! With the advances in technology, ready made templates, having a website is practically as easy as checking and writing an email. Now, setting up a website today is fairly easy if you happen to have even the slightest technical aptitude. Many people use a content management platform that is very popular today by the name of WordPress. Google loves websites made using WordPress and indexes the pages so that they show up in the search engine results quickly so that you can generate lots of traffic, and thus sales. Here is How to Create an Affiliate Website in Under 30 Seconds! In order to get free traffic to your website you are going to need to engage in an activity called content marketing that will bring in organic traffic from the search engines. Finding relevant content to place on that website is going to be something you will want to do and you may want to hire writers and order this content or you can write yourself. This is why you’ll need to know a little about the subject of the type of site you’ll have. Within this content is where you will be placing links to your recommended products. Most people who know a lot about a certain subject create a blog/website and enjoy writing all the content themselves. There are affiliate programs and products to promote in literally any genre you can think of. The more often you write and post material, the more traffic you will get. What separates successful affiliate marketers and those that continue to slave away at humdrum jobs is the desire to write. There are numerous places to obtain content for your blog, you could write it yourself, you could hire someone to do this for you for a nominal fee, or you could go all out and hire a dedicated writer for your website. This is really all up to you and your personal budget and the potential profit you will make. The most likely scenario is that you will probably outsource this content eventually once you start to earning revenue. A quick Google search for “unique content for my website” will generate at least five or six places where you can order articles for your website. But I will say that the only way to make sure your content is original is to write it yourself. And Google loves content that is unique and penalizes site that copy content. What this means is that Google loves content that is relevant to the topic and also hasn’t been just copied from another website. Duplicate content is something that will result in a penalty for your website and will hurt your rankings for the top spots for Google, Yahoo, and Bing in the future. The reason why this is important is because if you wish to succeed as an affiliate marketer you must understand how the search engines work and what makes them more likely to rank your website over the rest of the competition. By doing this you will dominate the search engines and also make a nice profit as a result. So that being said, whenever ordering content, use a site like Copyscape.com to check if the writer has provided original content before releasing any funds to them. We mentioned content marketing above. If you want to take it a step further, then once you are getting traffic and successfully converting visitors into sales, than you may want to start scaling up using paid ads, with Bing, Google, Facebook, etc. This is essentially reinvesting into your site to get even more visitors, thus sales. Most all successful affiliate marketers usually progress down this path. There are many aspects of affiliate marketing and truthfully this article just touched on some of the most popular aspects of making money on the internet. There are even more ways to get started in this field, including advertising directly on the search engines by using their pay per click platforms. PPC (Pay Per Click) platforms is how many search engines make their money but in return they will bring you targeted traffic to read your articles that you have your links on, resulting in sales for you. I hope this has helped answer your question regarding what is internet affiliate marketing and that you now have the foundation and insights you were looking for. So, when someone asks you how to start an affiliate marketing business, you’re now qualified to fill them in. 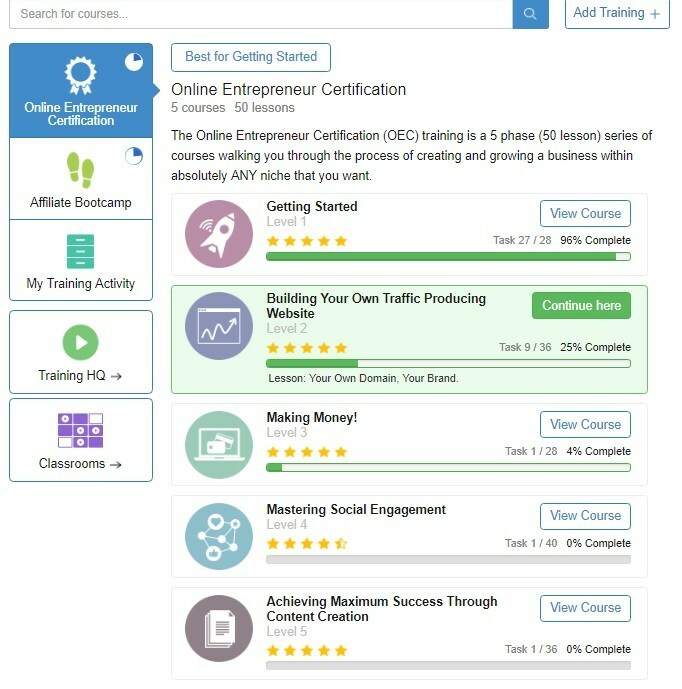 If you’d like to get a full education in affiliate marketing, I suggest going through the free video courses (suggested above) at your own pace. If you do, you’ll be well on your way to the freedom and life you deserve.